Women Veterans have the option of receiving full comprehensive health care through our Women Veterans Clinics located at the Muskogee hospital, Ernest Childers VA Outpatient Clinic (Tulsa), Vinita VA Outpatient Clinic, McAlester VA Outpatient Clinic and McCurtain County Community Based Outpatient Clinic in Idabel, which provide gender specific care by a provider trained and proficient in women's health. To schedule an appointment, please call 1-888-397-8387. 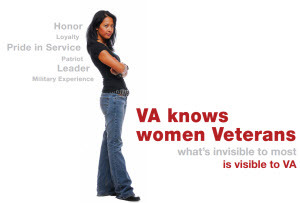 If you have any questions about services for Women Veterans, please contact Susan Hartsell, RN, BSN, Women Veterans Program Manager, at 918-577-4277.